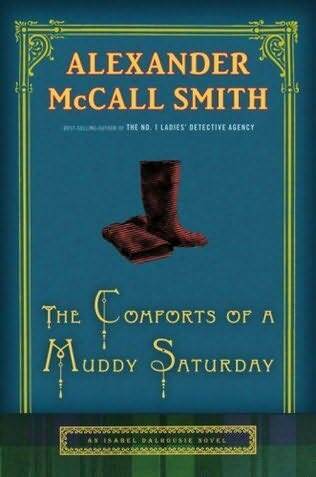 There are not many new ways of praising the wit and charm of Alexander McCall Smith’s books. He of course is the Scots writer, living in Edinburgh, whose “No. l Ladies Detective Agency” became a world-wide best seller a few years ago. Since then, the retired professor of Edinburgh University has turned out stories from at least three series. The recent one is from the Isabel Dalhousie series. Its heroine gets increasingly sympathic, I find, as she pursues her role as editor of a Review on Ethics, but also devotes more time to her personal life, which involves real love for her slightly younger, musical partner, also for their young infant son. Added to this is the complication of running her household, presided over by a paid housekeeper, Grace. Smith is completely at home in Edinburgh, as is Isabel Dalhousie, so you get a wonderful picture of the physical, as well as social, ins and outs of this marvelous city. Isabel is quite well-known in a number of circles, and is often asked about problems that arise, often of a legal nature. She can’t resist getting involved, and this happens in this book. The plot is intriguing, as are her efforts to offer help. Smith strikes his usual balance of sympathy and common-sense and it makes for an utterly readable and enjoyable book. Previous Previous post: “Exit Lines” by Joan Barfoot.